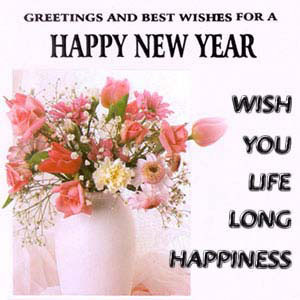 New Year day is the day celebrated all over the world on the same day, that is the start of the new coming year i.e. 1st January of every coming year according to the Gregorian calendar, which is being followed across the whole world, for official and civil purposes. Gregorian calendar is also named as western or Christian calendar. According to this calendar a complete year has twelve months in it: January, February, March, April, may, June, July, august, September, October, November and December. This calendar has been used since 45 B.C and was refined in 1582 as Julian calendar. It is a lunar calendar that is repeated from years to year. Romans celebrate this day in the memory of Junas: The God of dates and January is also named after him. As New Year celebration is the most important event in all religions though Hindus, Muslims and others have their own dates of celebration. According to the Muslim faith Hijri New Year i.e. Islamic New Year is the first day of Muharram, the first month of the Islamic calendar. It is also a lunar calendar. And the day is celebrated with same respect, spirituality, faith, trust, conviction and hope. As we talk about New Year celebration, how could forget New Year Eve. It is the night when New Year is celebrated at mid night before the 1st January starts. On this Eve people get together on a same place, remind the beautiful or harsh memories of the passing year. Prayers are offered for new start, hopes, forget harsh things and forgive each other’s mistakes. New commitments and New Year resolutions are made to follow throughout the whole year. It is a new phenomenon that is being popular among the whole world and celebrated with gifts, cards and dinner parties. Ringing churches bells, tooting horns and ear-piercing shrieks echo throughout the world on this festive day. Families visit their families. This day was celebrated in Rome in 153 B.C. A common symbol of New Year’s Day is Baby New Year. This is often a white male baby dressed in a diaper, a hat and a sash. The year he represents is printed on his sash. He rarely a newborn baby, as many pictures show him sitting up or even standing alone. James agate says, “New Year’s resolution: to tolerate fools more gladly, provided this doesn’t encourage them, to take up more of my time." On this day one takes a drink then drink takes a drink and at last drink takes you. As Somerset says, “At a dinner party one should eat wisely but not too well, and talk well but not too wisely." So this day be celebrated with respect, hopes for coming New Year, prayers for better future and achievements, being more flexible towards life and thanking Lord for given life and health to celebrate this day. We wish all of you, a happy, prosper, successful, spiritual, and content New Year; a Year full of benedictions and blessings. HAPPY NEW YEAR 2014. Don’t waste time, do it now.